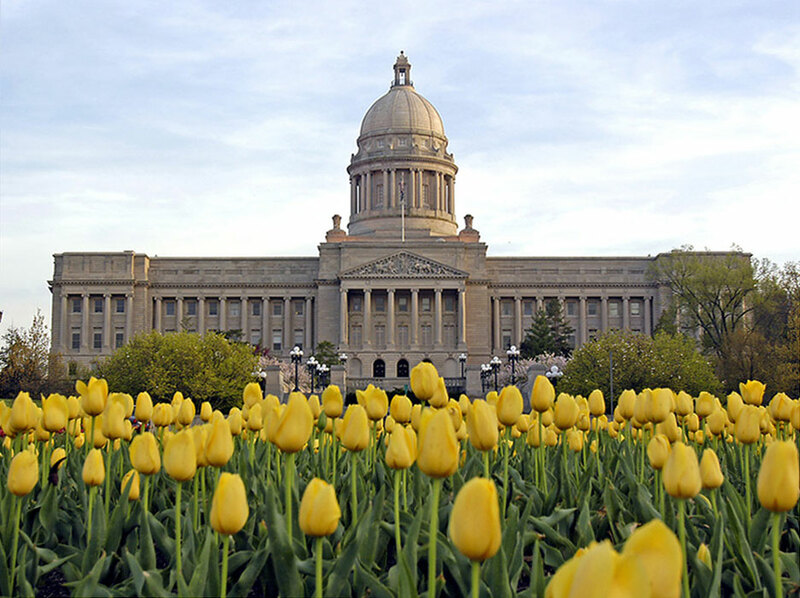 State Capital: Frankfort – See Our “Visiting Frankfort” Travelogue Below! Operating from an Old Louisville certified commercial kitchen, the company’s products are 100% natural and biodegradable. Check out the “Our Products” page at EarthyBrowns.com to see the complete line. Bar soaps are made with Organic Extra Virgin Olive Oil and essential oils for a long lasting deep cleansing experience that’s exceptionally gentle on your skin. We especially like the Mint Julep Bar – a true product of The Bluegrass State made with Kentucky Spring Water and Kentucky Bourbon! 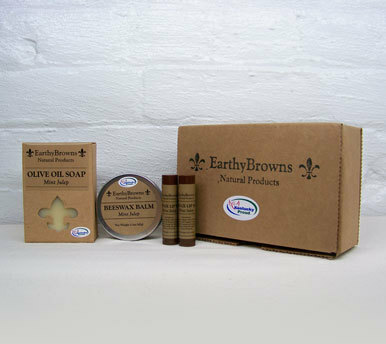 Members of both the Kentucky Proud and Kentucky Crafted initiatives, we’re delighted to spotlight Earthy Brown’s on our Made in Kentucky page. You can order directly from their website and they’ll deliver to your doorstep anywhere in U.S.! If you’re from the Covington area, you know about goetta (pronounced “get-uh”). It’s a German style breakfast sausage made with a blend of beef, pork, onions, spices, and steel cut oats. It’s unique to the Ohio River Valley and it’s fantastic! Packaged in a roll, goetta is easily prepared – just slice off an inch thick patty and brown well on both sides. We enjoy it every time we visit the area! 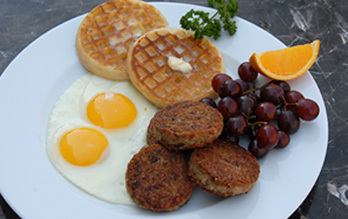 Most of the goetta you’ll find is made by Glier’s Goetta, a Covington based business that’s been around for over 125 years. We were pleased to learn they now ship goetta anywhere across the United States – just click through to their website and click on the “Buy Goetta” tab. Made in Kentucky! A beautifully illustrated edition features over 200 recipes representing the best of The Bluegrass State. Many of the recipes use Kentucky’s favorite ingredients and you’ll find tried and true favorites as well as exciting new dishes. 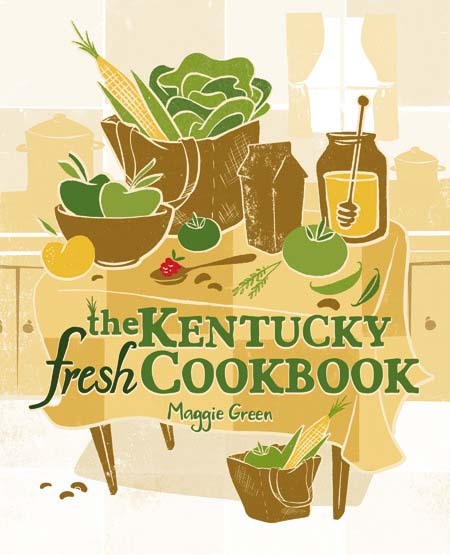 Buttermilk Cornbread, Burgoo, and Cheddar Pimento Cheese Sandwiches are just three recipes featured in a book that every Kentuckian should own. This volume also offers new ideas to serve at some of the state’s traditional get togethers, like Octoberfest, Derby Week, and Friday fish frys. 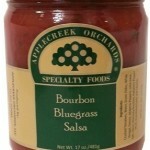 This sauce has got the spicy, peppery, tomato zing you expect from barbecue sauces from The Bluegrass State. We found it for sale in the Lexington area and loved it! You can order it directly from the KD’s BBQ Sauce website, and if you live locally the site has an up to date list of where to buy it retail. KD”s also makes some other interesting products, like Moonshine BBQ Sauce and Moonshine Cherries, both made with “the real thing” as the name suggests. Check them out for a true taste of Kentucky! Devil Dust: Don’t worry, Devil Dust isn’t scary – it’s scary good! Developed by Mike Darst of Waddy Spice Traders in Waddy, KY, Devil Dust is a seasoning made from dehydrated fresh peppers (a proprietary mix) that adds a lively “zing” to just about any food imaginable. We were given a bottle from a neighbor who frequently gets to The Bluegrass State on business, and believe me, it was gone in no time! Devil Dust can be used on cold side dishes like cole slaw, potato salad, and pasta salad. It adds a kick of heat and is a lot healthier for you than salty seasoning mixes. You can use it as a meat rub, to liven up your scrambled eggs, or sprinkle it atop a frozen pizza to make it come alive. We loved it mixed into oven browned potatoes and dip mixes – the uses are practically endless! There’s a handful of creative recipes on the Devil Dust website where you can also order a few bottles via PayPal. At Dixie Chili’s three locations (Newport, Covington, & Erlanger), you can order famous Cheese Coneys or a heaping plate of 5-way. In case you aren’t sure, 5-way means chili over a bed of spaghetti noodles, chopped onions, beans, and fluffy grated cheese. It’s a northern Kentucky tradition! 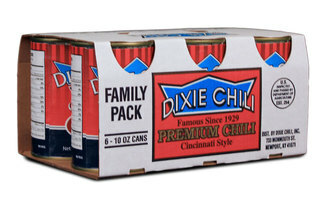 If you can’t get to Newport any time soon, you can order Dixie’s legendary chili directly at their website. You can also get a “Chili Survival Kit”, a great gift idea, and lots of Dixie Chili wearables. Click through to their site and enjoy some of the best chili in America! 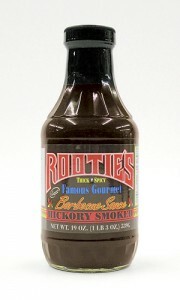 Rootie’s BBQ Sauce: This barbecue sauce comes courtesy of Rootie’s Sports Bar & Grill, located on busy Westport Road in Louisville. A city we love to visit, Louisville is well known for their arts, natural scenery, riverfront setting, and food and drink (to name a few). Convieniently located in the east central part of the country, Louisville is a perfect weekend destination – longer if you can take the time. We’ve been visiting the city for 25 years now and always discover something new. 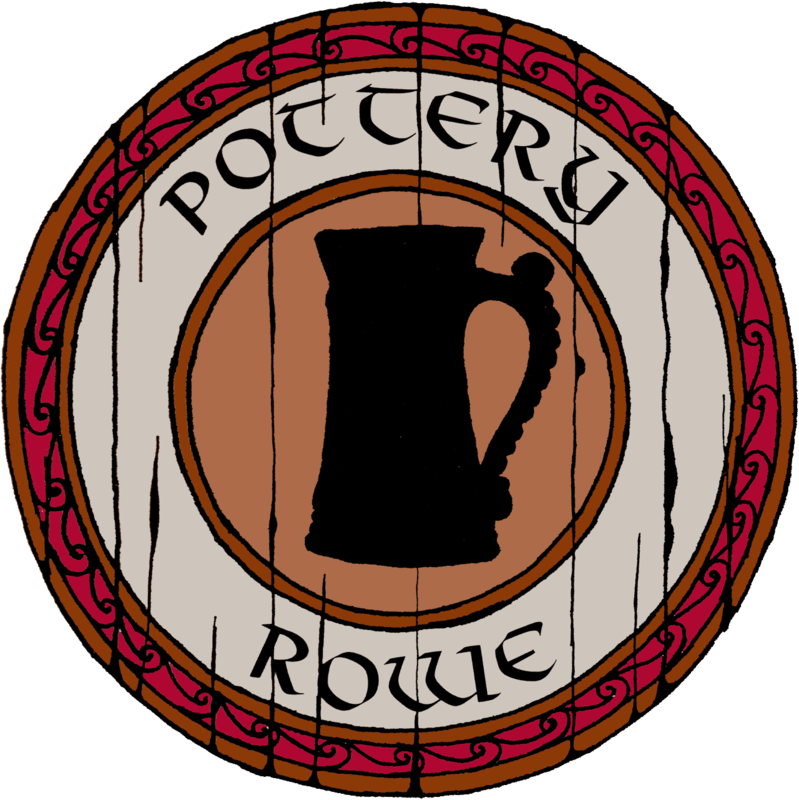 This time, it was Rootie’s, courtesy of a few locals recommendations who touted their charcoal grilled chicken wings and fun, casual vibe. We’re always up for that, and in addition to the great wings, we really liked their thick, spicy barbecue sauce. So here it is! Of course, you can use this sauce to dress up chicken wings, but try it on a pulled pork sandwich like we did. It’s a mix of slightly sweet and slightly spicy – perfect as a dipping sauce too! Stop by Rootie’s when you’re in Louisville, and click on the Products link on their site, where you can find a link to order the sauce online. Enjoy! Beaumont Inn: The Beaumont Inn is truly a special place. Located in Harrodsburg in the heart of Bluegrass Country near Lexington, it is the state’s oldest family operated country inn. The Inn is an official sponsor of the renowned Kentucky Bourbon Trail and has been welcoming guests to their historic setting since 1919. 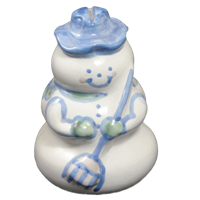 We specifically want to introduce you to the Beaumont Inn online gift shop. Here you’ll find the Inn’s Corn Meal Batter Cake Mix, their special Brown Sugar Syrup, and one of a kind Green Tomato Relish. A friend of ours brought us back a jar of this relish, which is made on site, and we’ve been pining for it ever since! Use it like you would any relish or chow chow – we took the suggestion listed on the product description and mixed it into potato salad … fantastic! We haven’t stayed at The Beaumont Inn (yet) but it’ll be our place of choice when we visit the Bourbon Trail in the near future. If you’re traveling in the area, check them out! And in the meantime, get a flavor for the place via their online gift shop. Enjoy something special from Kentucky! You can choose from a series of glaze patterns for your pottery, and each piece is non toxic, dishwasher and microwave safe. A perfect gift, these one of a kind pieces will last for decades with a minimum of care. 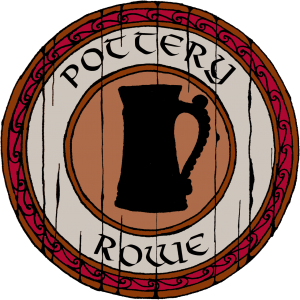 Click through to the Pottery Rowe website to see Melvin’s works! The sauces are all natural, with no vinegar or preservatives. They’re full bodied and really stick to ribs, pork shoulder, or whatever you’ve got on the grill. 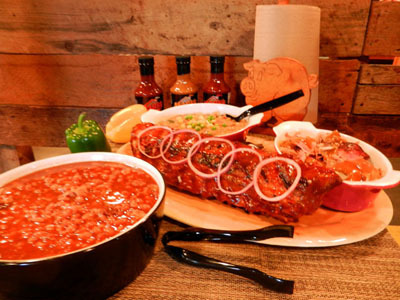 Kentucky is one of America’s underrated barbecue regions and Dave’s sauces do the Commonwealth proud! You can order any of these sauces at Dave’s website – they’re available in single jars, cases, and variety packs. Also try his Grand Reserve Spiced Honey Mustard! 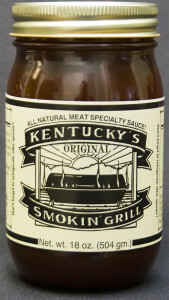 Fine gifts from The Bluegrass State for the barbecue fan on your list! In the early 1880’s, a famous Polish theater actress performed at the McCauley Theater in Louisville. Her performance enthralled a local candy manufacturer, who asked and received permission to name it after her. She was Helena Modjeska and her name is now associated with a special candy treat most associated with Bauer’s Candies of Lawrenceburg, KY.
We’ve served Modjeskas at our Kentucky Derby parties for years, and they never fail to wow our guests. 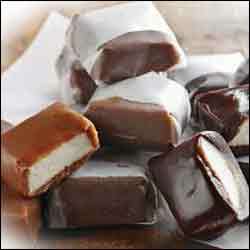 They’re a soft marshmallow center surrounded by a rich caramel coating, and sometimes even dipped in chocolate. Individually wrapped to retain their freshness, Modjeskas are hands down one of the best confections you’ll eat … they’re THAT good! Bauer’s has been making Modjeskas since 1889 and are synonymous with this Kentucky treat. They sell them in a variety of sizes, including combination gift boxes of original and chocolate if you can’t decide which sounds better. They’re made year around and are especially popular during Derby Week. 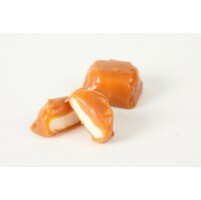 Order some Modjeskas from Bauer’s Candies and enjoy a real taste of The Bluegrass State! Kenny’s Banana Pepper Mustard: We admit it, we’re mustard people. We’re always trying different types of American made mustard – whenever we travel we pick up a few jars of some new mustard we’ve never tried. I suppose there can be worse addictions, right? Anyway, on a recent visit through The Bluegrass State, we came across this excellent banana pepper mustard made by a Kentucky company called Kenny’s Gourmet. We don’t know a whole lot about the company other than they’re located in Bardstown and this mustard is really good. We grow banana peppers every summer – they’re one of our favorite peppers offering just a bit of heat, but not too much. Paired with mustard is just perfect! Use this mustard like any other – we especially like it on ham or turkey sandwiches! 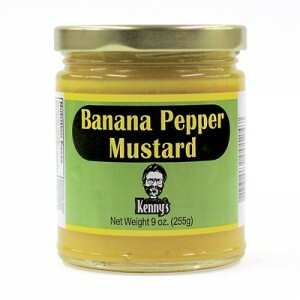 We found an online outlet for Kenny’s Banana Pepper Mustard here. We’ll try to find out more about Kenny’s Gourmet and fill you in, but in the meantime if you’re a mustard guy or gal … or if you know someone who is … this would make a fine Kentucky gift! One of their sauces is perfect for stir fry dishes – Spicy Sweet & Sour Sauce. They also make a Pepper Sauce with a Tabasco red pepper flavor and a special Kentucky Bourbon Marinade (try it with pork!). Boone Creek Creamery also offers a Cheese of the Month Club – you’ll receive two different varieties each month and you can subscribe for three months, six months, or a year. And while you’re at their website, be sure to order some of their unique Kentucky Derby cheese. It’s a cheddar infused with bourbon! Honey Acres Farm: Tom and Kathy Harshfield own Honey Acres Farm located in Shepherdsville, a town of just over 11,000 located on the Salt River just south of Louisville. The farm produces Lil’s Pure Honey as well as beeswax candles, both of which are available for purchase through the online store at their website. Their specialties are long and short pasta, gnocchi, ravioli, and flavored pasta like lemon pepper, spinach, roasted red pepper, beet, and many more (Beet Pasta … hmmm … sounds good!). They also have a unique variety of ravioli products … Three Cheese Spinach, Chicken Prosciutto, Mushroom Trio, and Four Cheese. We bought some of their ravioli and the word “fantastic” doesn’t quite cut it! 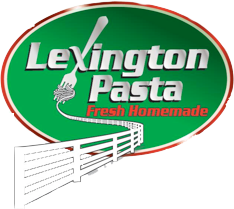 Lexington Pasta ships to all 50 states. What a unique gift from this cool Kentucky city! Louisville Honey Company: Now here’s a cool gift from Louisville … local honey made within the city limits in the Old Louisville neighborhood! We are big fans of natural, local honey. If you’re an allergy sufferer, try taking a few teaspoons of local raw honey per day … the pollen within the honey will ease your symptoms. 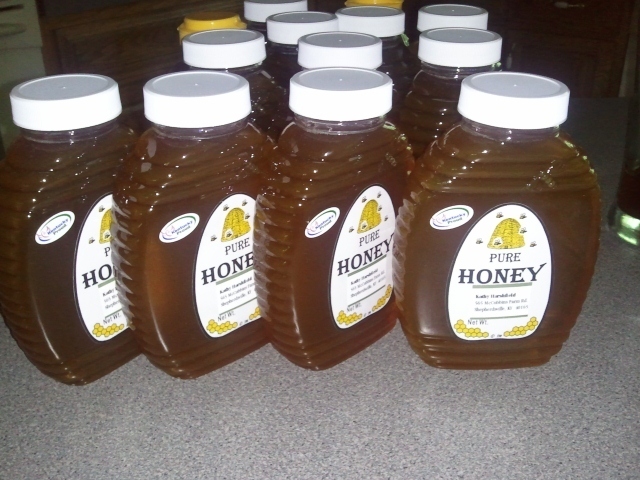 Unpasteurized honey offers many other health benefits too, and the added bonus is it tastes great! As you probably know, especially if you’ve been reading this site, not all honey is the same. A honey’s flavor is dictated by the flowers the bees pollinate, so there are thousands of different flavor profiles. We always seek out local honey whenever we travel! Louisville Honey Company has been around since 2009. Their all natural honey is available in two sizes and also in 14 ounce creamed honey, perfect for spreading on toast or croissants or any baked treats! Paw Prints Bakery makes five flavors of dog treats – peanut butter, chicken, beef & cheese, apple bits, and pumpkin. Variety bags are available too. Our neighborhood dogs gave them the paws up! You can order them in half or full pound bags or colorful gift tins. They also sell various decorative Christmas themed tins so you can place something yummy under the tree for your best pal! 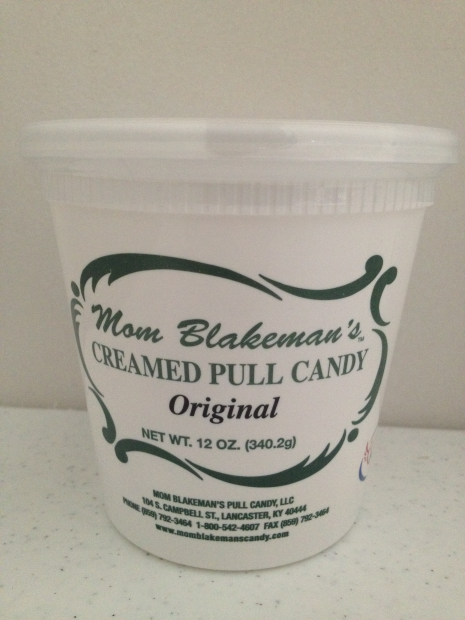 Similar to a taffy but creamier and more flexible, creamed pull candy is still being made here in Lancaster in honor of Maxine “Mom” Blakeman. It is one of The Bluegrass State’s best kept secrets! 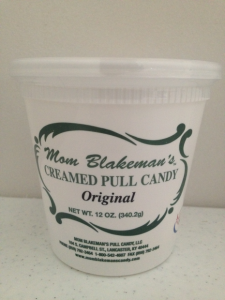 Mom Blakeman’s Creamed Pull Candy is made in several different flavors, including strawberry, chocolate, peppermint, orange, and peanut butter. It’s a real treat and unlike any candy you’ve tasted! Buy directly from the Mom Blakeman’s online store at their website and enjoy a unique taste of Kentucky! 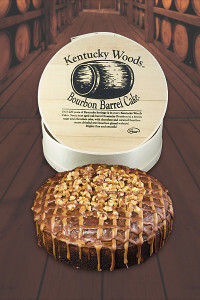 It’s the Kentucky Woods Bourbon Barrel Cake, created by Louisville artisan baker Adam Matthew Burckle. Adam is also well known for his many varieties of cheesecake and cheesecake samplers, stemming from family recipes dating back to the early 1960’s. As good as the cheesecakes are, in our estimation the Bourbon Barrel Cake is the star attraction. It’s a moist brown sugar chocolate cake made with pure maple and topped with walnuts, chocolate, and a caramel bourbon icing. Aged Kentucky bourbon is used during the baking process to provide a nutty maple flavor. The alcohol in the bourbon burns off during baking, leaving only the essence and flavor of this truly American fine spirit. Each cake is over three pounds and packed in a genuine American made barrel wood box. What a great Kentucky themed gift, or even just for yourself and your family! While they’re best known for their slow smoked falling-off-the-bone ribs, Mark’s Feed Store offers a number of Kentucky specialties on their menu, like burgoo, fried pickles, cornbread, and sweet potato fries. They also serve a really good fish sandwich and cheesburger too! For dessert, don’t miss the Buttermilk Pie – it’s one of the best desserts in Louisville! We’ve visited Mark’s Feed Store many times and were delighted when we noticed recently they now sell their sauces and barbecue feasts at their online store. They make three kinds of BBQ sauce – Original, Hot, and Red. We most prefer the Original, made with a dab of mustard, but the other two are excellent as well! Broadbent’s: We learned about Broadbent’s quite by accident after using their fantastic sweet and tangy mustard on a deli sandwich during a recent visit to Kentucky. After looking further into the company, we discovered they’re actually more famous for their award winning hams than their mustard! In either case, Broadbent’s is a Kentucky tradition. Based in Kuttawa, they’ve been around for over 100 years and have been shipping their smoked hams across the country since the mid 1960’s. These hams are Broadbent’s flagship product, and they’re available in various styles, whole or sliced, cooked and uncooked. 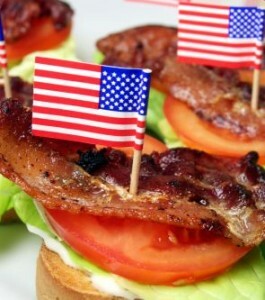 The company is also well known for their many gift packages, including the “BLT Blast” (shown). Whether you want to send a gift package of ham, bacon, smoked sausage, sauces, or condiments, Broadbent’s has got you covered. Shop by price, or event … they’re well known as a go to location for Christmas and Father’s Day gifts! Click through to their website to see all your gift giving options. 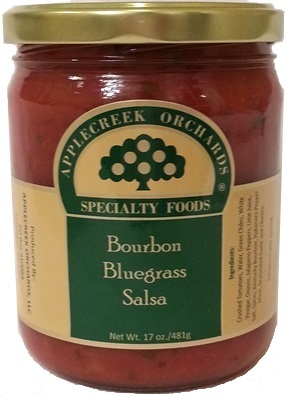 A guaranteed great taste of The Bluegrass State! The company has been featured in Ad Age, KickStarter, the Los Angeles Times, and now State Gifts USA. At their website, you’ll find all sorts of Kentucky themed products, each embodying the pride and spirit of the Bluegrass State. 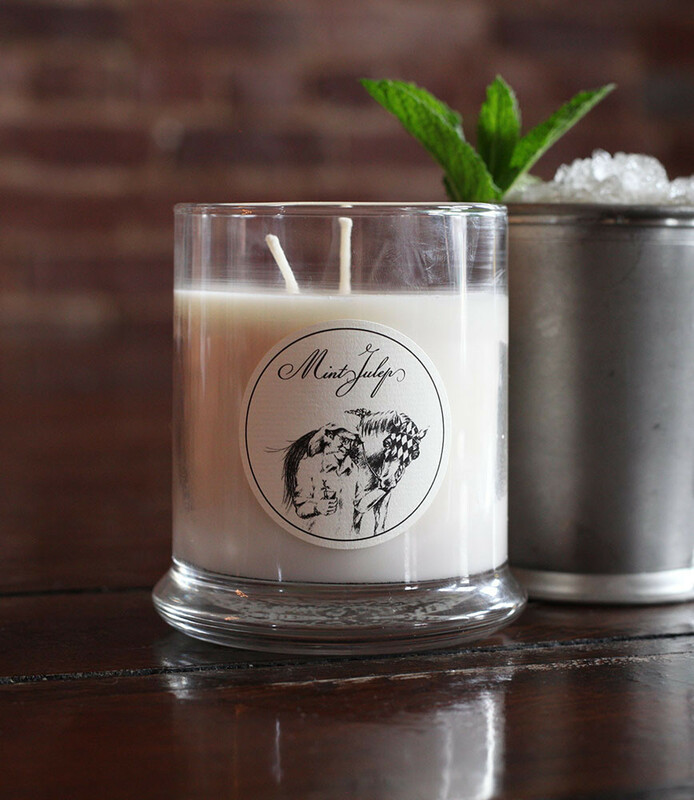 Among the products catching our eye are the “Scents of the Commonwealth” line of candles, featuring scents to evoke memories and visions of Kentucky. 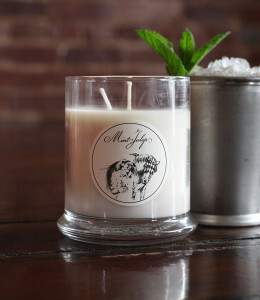 You’ll find scents like Mint Julep, Thoroughbred, Bluegrass, and even Fried Chicken and Trailer Park! Cool T-Shirts, prints, hats, stationery, postcards, flasks, and tote bags are just a few of the items you’ll find on their site. Great gift ideas for a Kentuckian or anyone with a soft spot for their Old Kentucky Home! The handsome mill sits in Midway, KY and has been run by members of the Weisenberger family since its inception almost 150 years ago. They’re well known for flours, corn meal, grits, and mixes. Try the Hushpuppy Mix (shown) which is very easy to prepare … just add water! 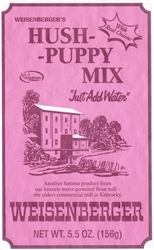 Weisenberger Mill also offers several different gift packages which make an ideal gift from the Bluegrass State. One appealing gift box is called “Southerner” and it contains mixes for cornbread, corn muffin mix, spoonbread, and buttermilk biscuits. In Lexington, KY there’s a non profit organization we’d like to spotlight. 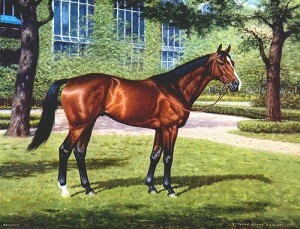 It’s called The Exceller Fund and their stated mission is to “Provide A Future Beyond The Finish Line”. The non profit organization acquires thoroughbreds that are at risk for slaughter after their racing careers are finished. The horses are adopted out to private farms and in many cases transitioned to a second career. The fund provides lifetime care for these horses, including food, shelter, and medical care. With good care, a horse can live into their late 20’s or even longer. The Exceller Fund is dependent upon donations from the racing industry and people who simply love horses. 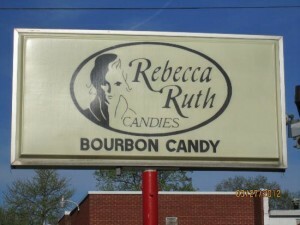 If you haven’t tried bourbon balls before, cross it off your to do list and order a pound or two from Rebecca Ruth, the inventors of this uniquely Kentucky candy! Berea charges no tuition, and to help provide scholarships for students in need, they run Berea College Crafts. 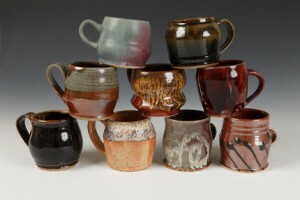 This program has Berea students crafting ceramics, woodworking, woven items, furniture, and more. 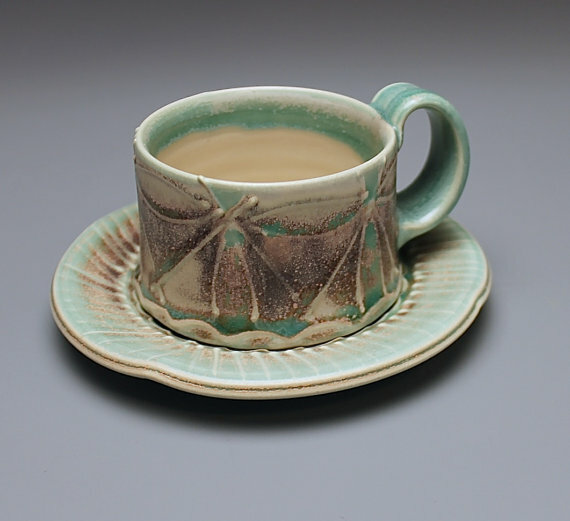 Click through the the Berea College Crafts website to learn more about the end products and the college itself. Order an item for yourself or as a handmade gift from Kentucky! One of our favorites is the Bourbon Bluegrass Salsa, which features the flavor of habanero peppers soaked in bourbon … what a great idea for a Kentucky Derby party! You can order any of these farm fresh products at the Rattlesnake Hill Farm website and they’ll ship them right to you or to someone who would appreciate a gourmet gift from the Bluegrass State! Small Batch Bourbon Furniture: Did you ever wonder what happens to bourbon barrels when the bourbon is bottled? 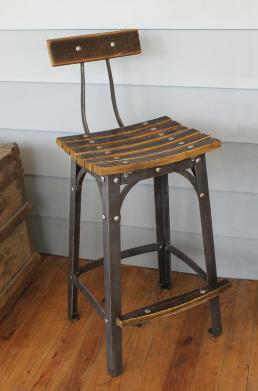 A small company in Lawrenceburg, KY called Maynard Studios crafts these items by hand using old bourbon barrels. The studio creates tables, chairs, bar stools, sofa tables, and all sorts of decorative and practical furniture for your home … ideal for the eco conscious bourbon lover! Muth’s Candies: A Louisville tradition since 1921, Muth’s Candies is best known for two of its best selling favorites … modjeskas and bourbon balls. Both candies are prevalent during Kentucky Derby festivities, but they’re popular all year long. Muth’s is one of the city’s most famous, and most revered candy makers. Derby Pie: Another long standing Louisville tradition is Derby Pie, made exclusively by Kern’s Kitchen of Kentucky. If that sounds a little confusing, order a Derby Pie for yourself from one of Kern’s Kitchen’s licensed vendors. The pie is shipped frozen. We recommend you slice the pie before warming it up … trust us, it’s easier that way! No matter where or how you try a Derby Pie, it’s a Kentucky taste treat like no other! Kentucky Inspired Art, by Wandia Newman: Whenever we travel, we always look for paintings or prints of local scenes from wherever we visit … it’s a great keepsake of our travels and a great conversation piece in our home! Even if you’re not interested in baseball, you can shop the Slugger Museum site online. They offer quite a few interesting gifts and memorabilia, including personalized bats which have your personal signature, or that of a gift recipient, engraved into the bat barrel. Moonlite BBQ is one of the most famous barbecue restaurants in the country. 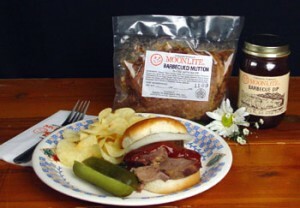 You can order mutton, dip, bbq sauce, and other Moonlite specialties online. I had some sent to my dad in Arizona for Father’s Day and he was really pleased with how carefully it was packed and shipped, not to mention how much he enjoyed it! 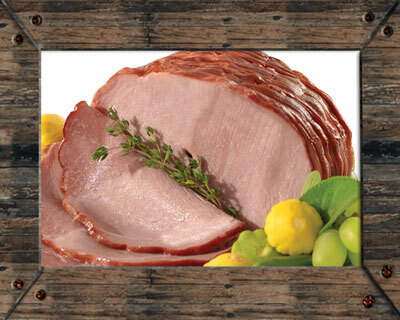 Meacham hams are popular during the holiday season, but you can order them any time of the year at MeachamHams.com. Hams are offered cooked or uncooked, sliced or whole. 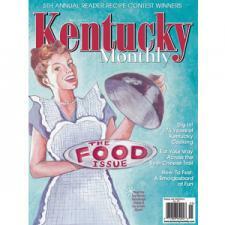 They also sell numerous other Kentucky food products, like Derby Pie, bourbon barrel cake, and bourbon balls. We’ve thrown Derby Parties for years … complete with Derby related party favors, a complete Kentucky menu with modjeskas, bourbon balls, hot browns, and my special recipe mint juleps. We get everything we need for the party at the Official Kentucky Derby Store and you can too! 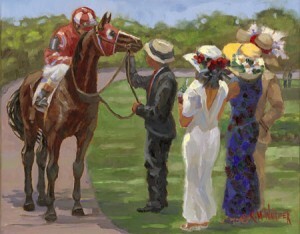 Kentucky Derby parties are a blast … guaranteed fun for friends, neighbors, and family! It’s called “Bloody Kentucky Drink Mix”, which is a twist on the traditional bloody mary. Bloody Mary’s are traditionally made with vodka, but in Kentucky it’s a little different! This full bodied drink mix is created to mix with Kentucky bourbon instead of vodka. Of course, you can use vodka if you want … the mix still serves as a great eye opener … but we like mixing it with bourbon. We recommend using a regular bar bourbon because you’ll be mixing it instead of serving it straight. Jim Beam Black Label is a good choice, as is Old Forrester, but use whatever bourbon you like best. You can order the mix here in either the regular or spicy version. 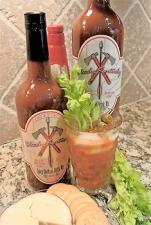 We like the regular recipe, but if you like spicy bloody mary’s, go for it! 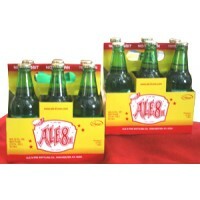 Their famous soft drink, simply called Ale-8-One, is a unique but easy to drink lightly carbonated soda that reminds some of a cross between ginger ale and a lemon lime soda like Sprite. It’s a taste all it’s own, and it is uniquely Kentucky. They look like traditional sweet bread and butter pickle chips, and that’s the first taste sensation you’ll get. Then, the next taste hitting your taste buds is the dill pickle taste. You have to try them to see what we mean! Crosley Radios: Since the 1920’s, Crosley Radio has been a national leader in distinctive radios and associated music and sound equipment like turntables, compact disc players, accessories and more. 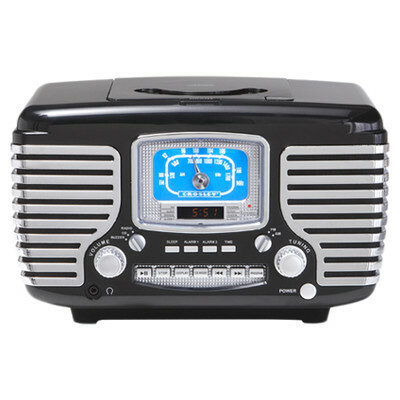 Founded in Cincinnati, the company is now headquartered in Louisville and has carved out a niche in retro radios, telephones, record players, and other products for your home. Any time is the perfect time to visit Kentucky, but we’re partial to the middle part of fall. The days are still warm and the nights are pleasantly cool. There’s dew on the morning bluegrass and the mint juleps taste mighty fine this time of year! 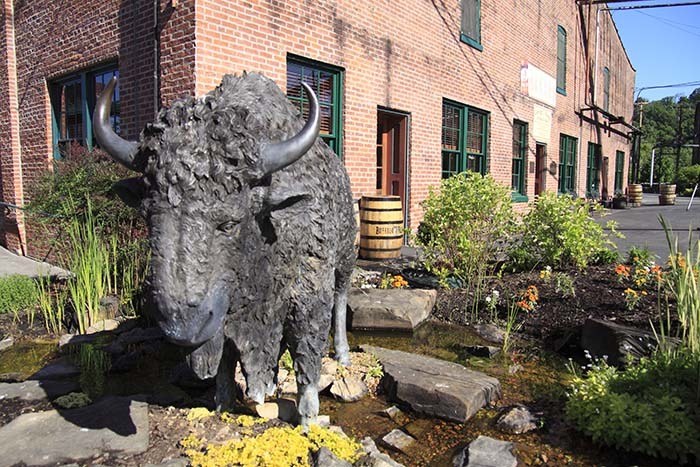 It’s only 30 miles from here to Lexington, and less than an hour to Louisville, so most people stop in Frankfort to refuel or visit the famed Buffalo Trace Distillery. But it’s a pleasant overnight destination if you have the time, or if you enjoy staying in smaller towns vs. bigger cities. 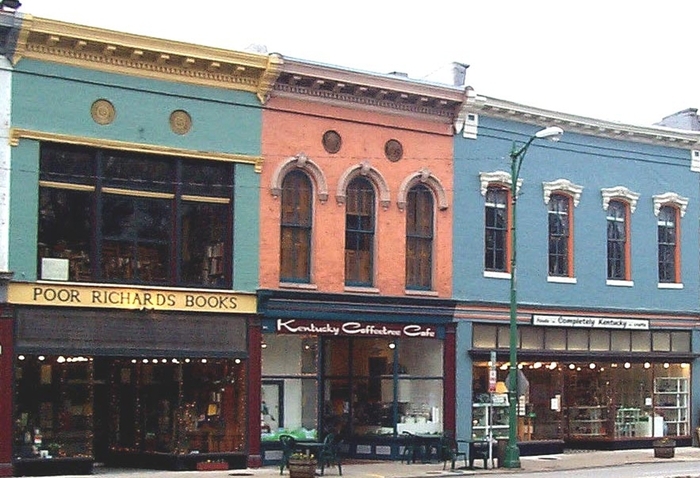 As far as state capitals go, Frankfort is one of the smallest – the population is just a shade over 27,000, making it the 5th smallest capital city in the nation. 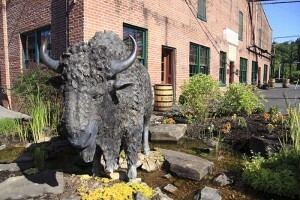 Despite its relatively small size, Frankfort is home to Kentucky State University and boasts the aforementioned Buffalo Trace Distillery, famous throughout the world for their many fine bourbons. 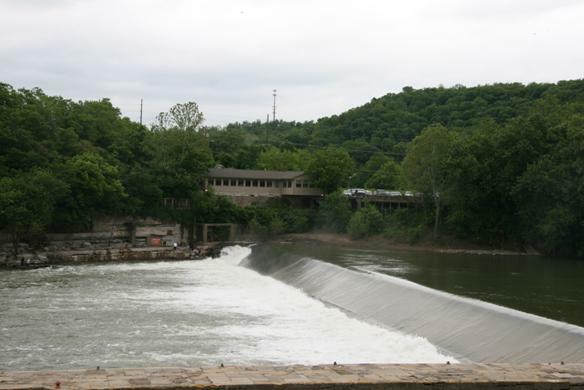 And it’s exceptionally scenic here … we were taken by the hilly terrain and the meandering, peaceful Kentucky River which makes a 90 degree turn right near the center of town. Join us as we share a bit of insider knowledge about Kentucky’s capital. We’re continuing on our journey of visiting all 50 of America’s state capital cities and we’re glad to have you along! After arriving in town, we asked an employee at the State Capitol how Frankfort got its name. He told us the town was named after an early pioneer named Stephen Frank, who was killed during a skirmish with Native Americans at a ford in the now Kentucky River. “Frank’s Ford” became “Frankfort” and there you have it …. 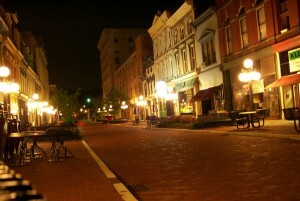 You can probably cover this cool small city in a day, on your way to Kentucky’s two larger cities. But we wanted to relax a bit and enjoy a few sights a day trip wouldn’t allow. We enjoyed a friendly sightseeing cruise on the river (we’ll talk about it below), visited the State Capitol, and the Buffalo Trace Distillery. There was also enough time to wander around the downtown and visit a handful of independent shops. Ideally, plan to spend at least an afternoon. Even if you can’t spare more than a few hours, remember Frankfort is within easy driving distance of both Louisville and Lexington. Next time we’re visiting either of those, we’ll be stopping back in the capital city! Being big bourbon fans, visiting this historic distillery was a real treat! Formerly known by several different monikers, this business claims to be the oldest continuously operating distillery in the country. Some of the bourbon brands made here which may be familiar to you include Buffalo Trace, Ancient Age, Blanton’s, and Elmer T. Lee Single Barrel. The facility tour starts with an informative film showcasing the company’s evolution and continues with a stroll through the barrel house, where you’ll catch the alluring whiff of bourbon aging in charred barrels. You’ll also see the bottling line where production takes place … watch bottles being filled, labels attached, packing, and so on. Tours last about an hour and finish with a bourbon tasting if you wish. You can catch a free tour every day of the week; they usually depart every hour on the hour. If you’re hungry after the tour (we were! ), you can pop in at the Firehouse Sandwich Stop, housed in one of the old distillery buildings just steps from the Visitor’s Center. It’s operated by the local Staxx Barbecue restaurant and offers a nice selection of sandwiches, soups, and boxed lunches. The Sandwich Stop is open from April to October – try the chicken salad, it’s outstanding! 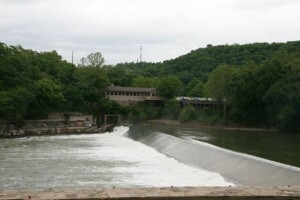 From here, we had our sights set on a visit to the capitol complex before joining a sightseeing cruise on the Kentucky River. Frankfort is quite easy to get around, and it’s only a few minutes to get to the Capitol from Buffalo Trace. Situated adjacent to the river, the building opened in 1910 and is listed on the National Register of Historic Places. The earlier capitol building, dating from 1830, is still standing downtown and also worth a look. 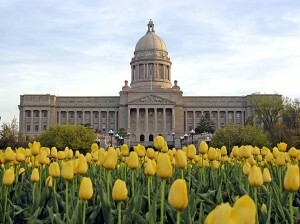 Kentucky’s Capitol is open six days a week from April to October and Monday through Friday during the colder months. We recommend taking a Building and Grounds Self Guided Walking Tour – you can follow along by downloading the brochures from this page. You’ll see the building and all the important government functions, along with the beautiful grounds. It’s a nice walk too – about 1.25 miles through the grounds (a perfect activity after lunch). 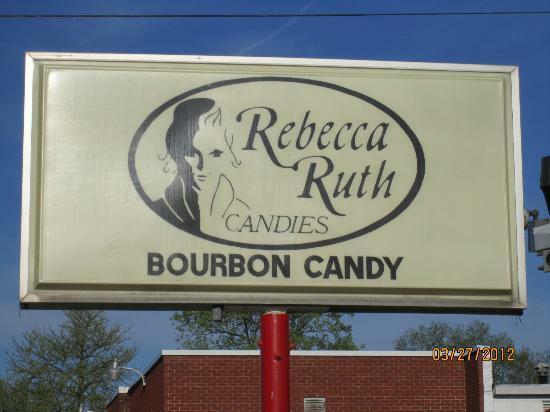 First is the legendary Rebecca Ruth Candy Factory, located on 2nd Street just south of the river and a Frankfort landmark since 1919. They ship their famous candies like bourbon balls and creams across the country and offer short tours of the candy making process. Want to fit in? 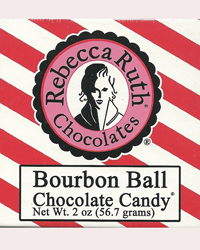 Buy a bag of bourbon balls and stroll around town! Frankfort is also a wonderful art focused town, perfect if you like to bring home a print or decorative piece from your travels as we do. 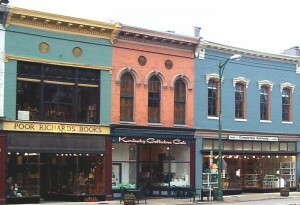 In the downtown area, stop at Completely Kentucky, Eclectic Mix, and Grand Gallery for options to add to your personal collection. 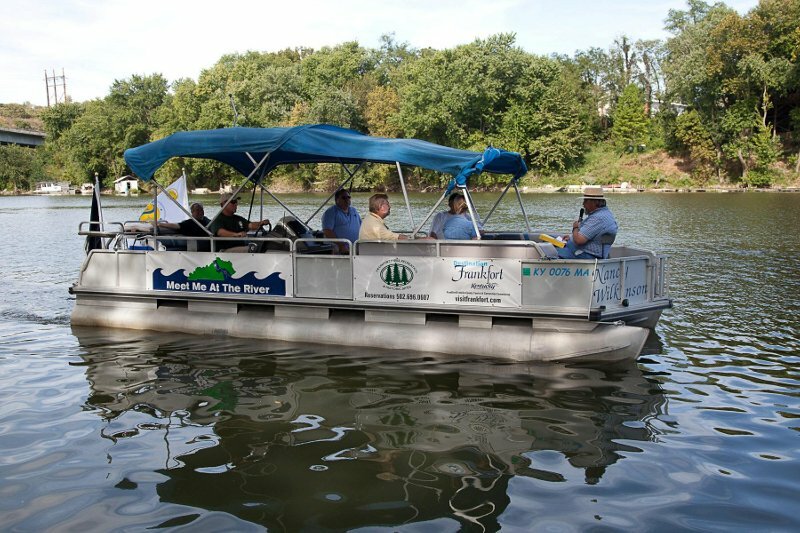 We happened to be in town on a Wednesday, and at the Kentucky River View Park downtown, you can arrange a free river sightseeing tour aboard the Nancy Wilkerson by calling ahead (information linked here). The cruises run from the end of May through October and it’s a fairly small boat – the capacity is 8 and you really need to reserve in advance. The cruise is about 90 minutes and departs Monday, Wednesday, Friday, and Saturday at 10:30 a.m. and also on Wednesdays at 6 p.m. You’ll learn about Frankfort history, the Kentucky River, and hear a few anecdotes about local characters. Keep your eyes peeled for the occasional wildlife sighting along the banks! We only had time for one meal in Frankfort (other than our lunch at the distillery). On the recommendation of one of our river cruise co-passengers, we opted for a great casual place called Jim’s Seafood, located on Wilkinson Boulevard just a few blocks north of downtown. Jim’s is a family friendly spot located right on the river as you can see. They’ve been around since the 70’s and it’s a perennial favorite of anyone you talk to in town. They’re open for lunch and dinner and even offer some local specialties like fried green tomatoes and fried banana peppers. We’re told the cheeseburgers are exceptional! 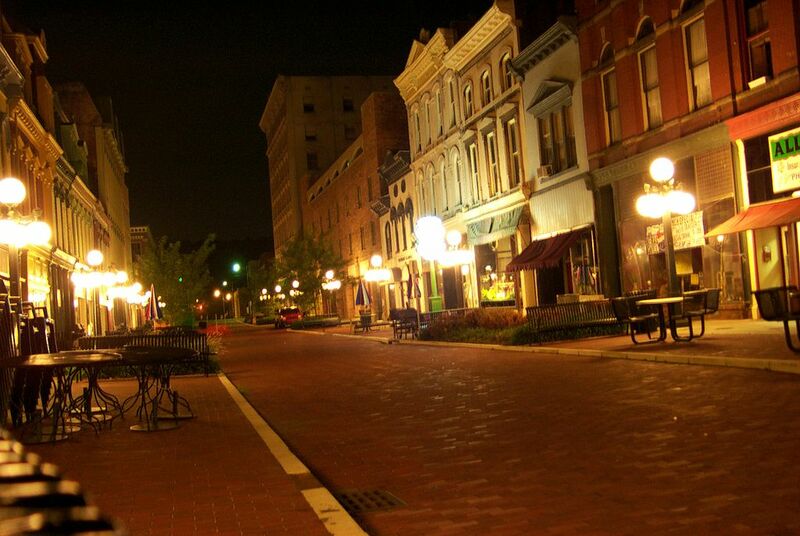 Kentucky’s capital has a small town feel, even though it’s home to more than 25,000 people. We visited in the fall, but don’t let that stop you from stopping here any time during the year. Winters are comparatively mild, with only about ten inches of snow yearly, usually clustered in January and February. Spring is another delightful time to plan a trip to The Blue Grass State – flowers bloom early and it’ll have you thinking warm thoughts! If you’re challenged for time, you can easily cover Frankfort in a day with a little planning. As we mentioned, Lexington is very close and Louisville is less than an hour away. Don’t pass this fun town by – there are a number of unique attractions and stores you’ll only find here! We’re so glad we spent some quality time in Frankfort and hope you do the same. Thanks for reading!